The online poker scene in India will soon welcome another operator thanks to the man behind the Match Indian Poker League. 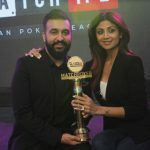 First reported by Glaws.in, the new poker site will be called Poker Raj after its founder and the owner of Viaan Industries Limited, Raj Kundra. According to Glaws, the desktop and mobile platforms will go live on September 16 and feature a variety of cash games and tournaments. Powering the Poker Raj will be Salus Technologies and its owner has said the site will provide a natural extension to the Match Indian Poker League. 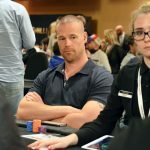 To mark the launch, a series of freerolls with a total prizepool of $14,000 will take place between September 16 and 30. Despite having success with his team-based match concept, the entrepreneur couldn’t get Celebrity Games off the ground in 2016. “That (Celebrity Games) was in a partnership and fortunately or unfortunately it did not work out as my partners had mixed views on how it should be run. I guess there is always the right time for the right project,” Kundra told Glaws on September 13. 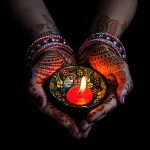 Although success this time around isn’t guaranteed, India’s online poker scene is in a healthier state now than it was in 2016. In April of that year, the Nagaland Prohibition of Gambling and Promotion and Regulation of Online Games of Skill Bill was signed. The Nagaland State Lotteries Office initially offered up ten licenses and the owner of Khelo365.com, M/s K365 Web Assets Pvt Ltd, was the first to get the greenlight. Since then, dozens of poker sites have gone live despite regulatory issues in other Indian states. At this stage, India’s poker economy has a long way to go before it fulfills the potential many industry insiders believe it has. However, with another major company getting in on the action, the market is looking much stronger as we head into 2019. I’ll be joining this new site very soon. India is rising so why not give it a try? Sorry guys, but admissions not allowed for outsiders. This is restricted to India alone. that s a very good thing , poker is always in improving and the good thins is that it s improving in many countries . i think this new venture of poker improvement in india is only allowed for citizens in india . 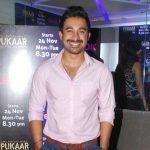 Kundra is ready to improve the online poker scene in India with a new adventure; He has become one of the most active businessmen in the Indian poker scene. However, this will be his second attempt to launch an online poker site. India’s poker economy has a long way to go before it reaches the potential that many industry experts believe it has.